You’ve paid your fee’s, rented your tables, you’re purchasing your SWAG, and all your marketing signage is being cranked out by the local print shop. You might think you have all your bases covered, but what is going to drive people to your booth? Is this an “if you build it, they will come” situation? 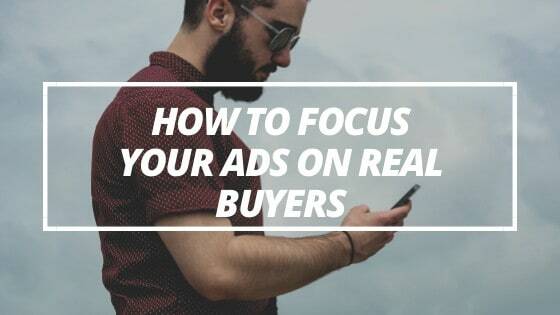 While you will get a lot of people walking by wouldn’t it be better to get people to stop by and actually look for you because of what they have seen online? Your social media channels (Facebook, Twitter, Instagram) are places for you to let people know what’s going on with you and where you’re going to be. It’s a place for you to connect with your customers and attract new customers. Your channels are a community, not just a series of impersonal ads. Social media is about connection and engagement, not just “impressions”. With that said you can use social media to reach those who are interested in your business or services or have done business with you in the past. A trade show or event is a perfect opportunity for you to connect with your customers and leads. So follow these tips to drive foot traffic to your booth and create a buzz around your product or services. Find out if the event has a specific hashtag for the event and use it on your Social Channels (ie. #NEWCAHomeShow). A few weeks and up to a month before the show start dropping in the official hashtag for the event into your announcements and posts. Hashtags are a great way to get your posts into a larger community (others using the same hashtag) and get noticed by people who have not liked or interacted with your page. Like and follow the pages and or social channels for the Event Sponsors, the Event Page (if there is one) and the Location. Such as the Campbell County Chamber of Commerce, NEWCA Home Show, and the Camplex. This is a great way to support the event sponsors and get updates about the event. Share the event on your business page. Let everyone know your booth number and what you will be selling. Linking to the events page or website is also a good idea and with help get the word out to others who may not have known about the event. Share pictures or videos of what your customers might look forward to seeing from your company at the show (This is a good time to launch a new product or service – start getting people excited). If you are a B2B business check out your LinkedIn Connections and send an invite to them as well. This can be a great way to get some face time with a decision maker who may have been too busy to come see you otherwise. Post a picture of your booth. Make sure to let people know where at the show to find you. Circle your space on the event map and post it with the picture. Make finding you as easy as possible. Go LIVE! Show your customers what they are missing and what you have to offer. Use Facebook live or Instagram Stories to show people where you are, what you are doing, and talk a little bit about your products and services. This would be a great time to talk about the value your product brings. What makes you different. Chances are some of your competitors are going to be at the show and this is a great way to stand out. Encourage customers to take pictures of your booth and post it on your page! Offering a small incentive (discount on products or services if they do) or a chance at a prize! This is a great time to collect “Likes” – a Like can be used as an entry for any raffles you are doing (you could also collect emails as well). You are going to get busy at the event. Keep the buzz going by scheduling posts, tweets, or updates before the show to post during the show. Announce the winners of any drawings in a live video at your location so people know where you are located. Follow up on emails or leads you collected. Don’t let those leads grow cold. Follow-up with anyone you collected contact information from. This is really an opportunity to impress. Even if someone didn’t have a question, but just gave you their email in exchange for a free gift, send them a thank you for stopping by your booth. This is a great way to remind them of you without being too “salesy” right out of the gate. And most importantly keep the momentum going – If you generated a lot of new likes don’t lose their interest! Take advantage of all your new followers and keep them engaged with interesting and exciting information about your products or services! These are just a few ideas to help you get the most out of your next Trade Show or Event. 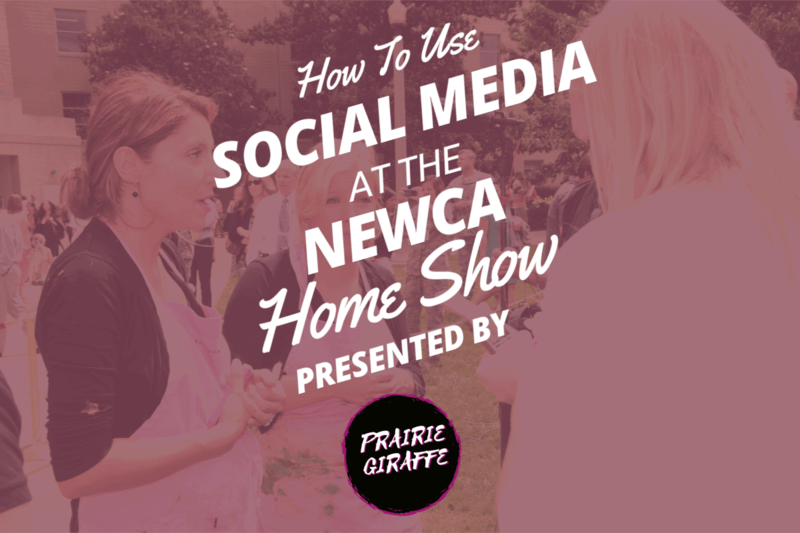 Check back for more tips, advice, and strategies and be sure to follow the NEWCA Home Show page on Facebook! Of course, if all of this sounds Greek (or geek) to you, we would love to discuss the ways we can help.